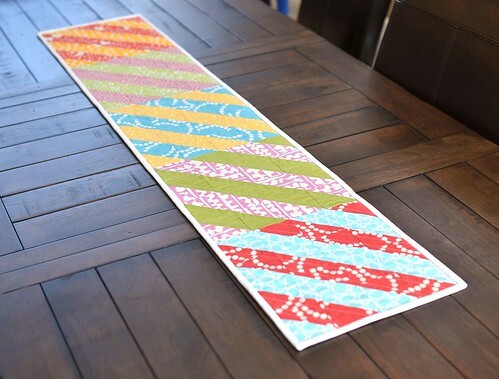 On Friday I decided I needed an Easter table runner. Well, I will call it a Spring table runner so that I can get a little more use out of it. I really need to stop making seasonal things at the last minute. This is made entirely of half square triangles and is a variation on the Formal Garden block from 500 Quilt Blocks. This is the first time I have ever used solid white as a binding and I wish it was a more practical choice because I love it. This time of year helps me to feel hopeful and grateful. I am so grateful for all of you and the opportunity to share myself and the things that I have made. Thank you and I hope you are all having a wonderful Easter. Happy Easter! Thank you for sharing the Because of Him video. That is amazing. He is wondrous. Turned out cute. I like white binding too... sigh. Mother’s Day is celebrated for our family most special person our mother. Mother is a god gift for all people in the world. Every son/daughter is celebrated Mother’s Day for their mother; they express their feelings, love, and joy with their mom. Mother’s Day is celebrated in all over the world on different days; it means Mothers Day Date is not same in all over the world. In most countries, Mother’s Day is celebrated second Sunday of month May. Mother’s Day was first celebrated in 1908 when Anna Jarvis held a memorial for her mother at St Andrew’s Methodist Church in Grafton, West Virginia. mothersday messages St Andrew’s Methodist Church now holds the International Mother’s Day Shrine.